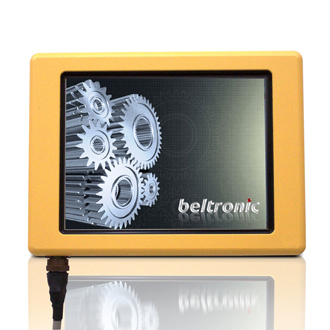 Bit-RDU Panel LCD's All-Weather, All-Terrain series are waterproof, totally sealed IP67 (NEMA 6) LCD displays. These ultra-rugged, harsh-duty sunlight readable LCD displays are engineered for the most demanding applications and provide exceptional corrosion resistance and protection from direct or windblown dust and rain, splashing water, snow, ice formation and even temporary submersible. Our weather proof lcd displays are designed for extreme environments and integrated with the latest optical technology for unparalleled Sunlight Readability, this series provides users with a reliable, high-resolution display with exceptional clarity, wide viewing angles, and extensive operational temperatures (-40°C/-40°F to +70°C/+158°F). Bit-RDU Panel 8.4" All-Weather, All-Terrain, Harsh-Duty LCD Display System is waterproof (fully submersible) and engineered to withstand the harshest environments and most demanding real world applications. This high resolution SVGA 800 x 600 native (optional XGA 1024 x 768), is equipped with Bit-RDU Panel LCD's proprietary Enhanced Light Transmission Technology (ELTT) which allows for true Sunlight Readability and as well provides exceptional clarity and viewing angles. 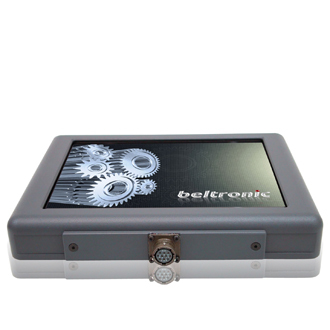 This advanced user friendly LCD display system provides extensive operational temperatures of -20° to +70°C (-4° to 158°F) standard or -40°C to 70°C (-40° to 158°F) optional and unprecedented video input capabilities from traditional VGA to up to FOUR individual direct composite BNC video feeds with easy one-touch toggle select function between all feeds! Bit-RDU Panel 10.4" All-Weather, All-Terrain, Harsh-Duty LCD Display System is waterproof (fully submersible) and engineered to withstand the harshest environments and most demanding real world applications. 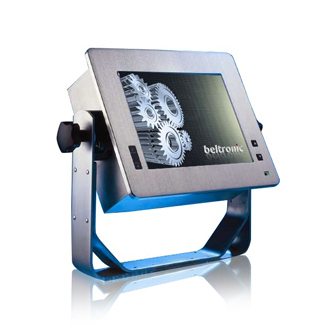 The sunlight readable VT104XA4 is equipped with Bit-RDU Panel LCD's proprietary Enhanced Light Transmission Technology (ELTT) which allows for true Sunlight Readability and as well provides exceptional clarity and viewing angles. 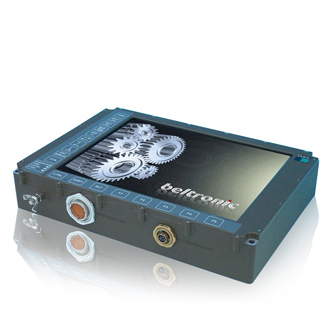 This advanced user friendly LCD display system provides extensive operational temperatures of -20° to +70°C (-4° to 158°F)(standard) or -40°C to 70°C (-40° to 158°F)(optional) and unprecedented video input capabilities from traditional VGA to up to FOUR individual direct composite BNC video feeds with easy one-touch toggle select function between all feeds! Bit-RDU Panel 12.1" All-Weather, All-Terrain, Harsh-Duty LCD Display System is waterproof (fully submersible) and engineered to withstand the harshest environments and most demanding real world applications. The sunlight readable VT121XA4 is equipped with Bit-RDU Panel proprietary Enhanced Light Transmission Technology (ELTT) which allows for true Sunlight Readability and as well provides exceptional clarity and viewing angles. 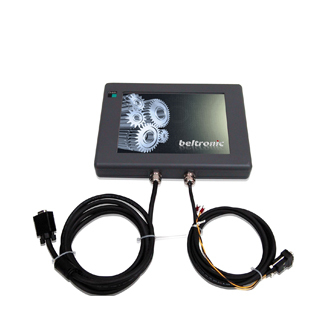 This advanced user friendly LCD display system provides extensive operational temperatures of -20° to +70°C (-4° to 158°F)(standard) or -40°C to 70°C (-40° to 158°F)(optional) and unprecedented video input capabilities from traditional VGA to up to FOUR individual direct composite BNC video feeds with easy one-touch toggle select function between all feeds! Bit-RDU Panel LCD 15.0" All-Weather, All-Terrain, Harsh-Duty LCD Display System is waterproof (fully submersible) and engineered to withstand the harshest environments and most demanding real world applications. This high resolution (native XGA, 1024 x 768), is equipped with Bit-RDU Panel LCD proprietary Enhanced Light Transmission Technology (ELTT) which allows for true Sunlight Readability and as well provides exceptional clarity and viewing angles. 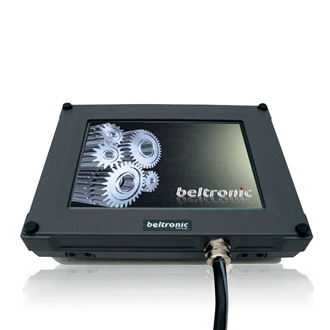 This advanced user friendly LCD display system provides extensive operational temperatures of -20° to +70°C (-4° to 158°F)(standard) or -40°C to 70°C (-40° to 158°F)(optional) and unprecedented video input capabilities from traditional VGA to up to FOUR individual direct composite BNC video feeds with easy one-touch toggle select function between all feeds! The Bit-RDU-1700-MOB Rugged Panel Flat Panel Displays are built to meet the highest environmental standards. The NEMA4 / IP65 milled aluminum enclosures guarantees a high protection level against external environmental influences and ensures mechanical, electrical and esthetical preservation. 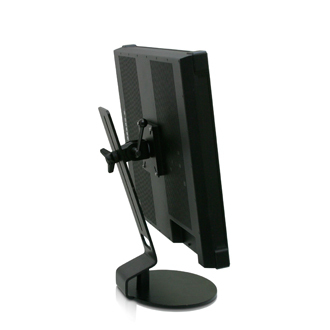 The standard VESA attachment allows flexible mounting capabilities for different applications. IP65 compliant round connectors are used for all outside connections. 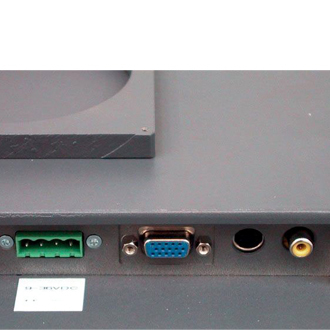 The Bit Tradition GmbH RDU Displays are available with analog CRT and DVI as standard and S-Video / Video Composite interfaces as options. 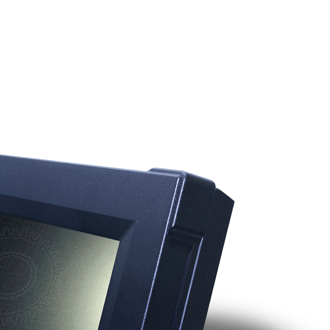 The Bit-RDU-1900-Panel Rugged Panel Flat Panel Displays are built to meet the highest environmental standards. The NEMA4 / IP65 milled aluminum enclosures guarantees a high protection level against external environmental influences and ensures mechanical, electrical and esthetical preservation. 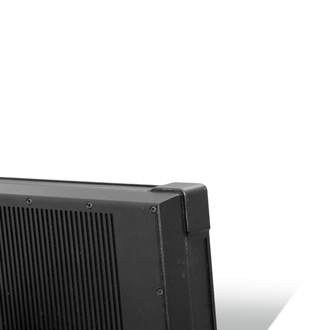 The standard VESA attachment allows flexible mounting capabilities for different applications. IP65 compliant round connectors are used for all outside connections. The Bit Tradition GmbH RDU Displays are available with analog CRT and DVI as standard and S-Video / Video Composite interfaces as options. The Bit-RDU-2100-MOB Rugged Panel Flat Panel Displays are built to meet the highest environmental standards. The NEMA4 / IP65 milled aluminum enclosures guarantees a high protection level against external environmental influences and ensures mechanical, electrical and esthetical preservation. 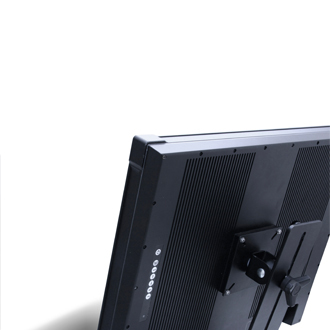 The standard VESA attachment allows flexible mounting capabilities for different applications. IP65 compliant round connectors are used for all outside connections. The Bit Tradition GmbH RDU Displays are available with analog CRT and DVI as standard and S-Video / Video Composite interfaces as options. The Bit-RDU-25W00-MOB Rugged Panel Flat Panel Displays is built to meet the highest environmental standards. The NEMA4 / IP65 milled aluminum enclosure guarantees for a high protection level against external environmental influences and ensures mechanical, electrical and esthetical preservation. The standard 200x100 heavy duty VESA attachment allows flexible mounting capabilities for different applications. IP65 compliant round connectors are used for all outside connections. 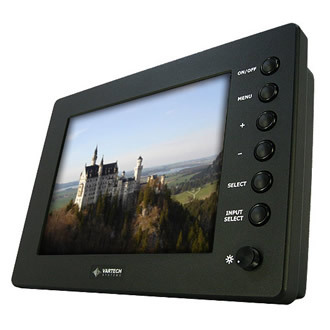 The Bit Tradition GmbH RDU Displays are available with analog CRT and DVI as standard and S-Video / Video Composite interfaces as options.